Create these adorable pieces for children size 3 to 6 or girls size 7 to 14. 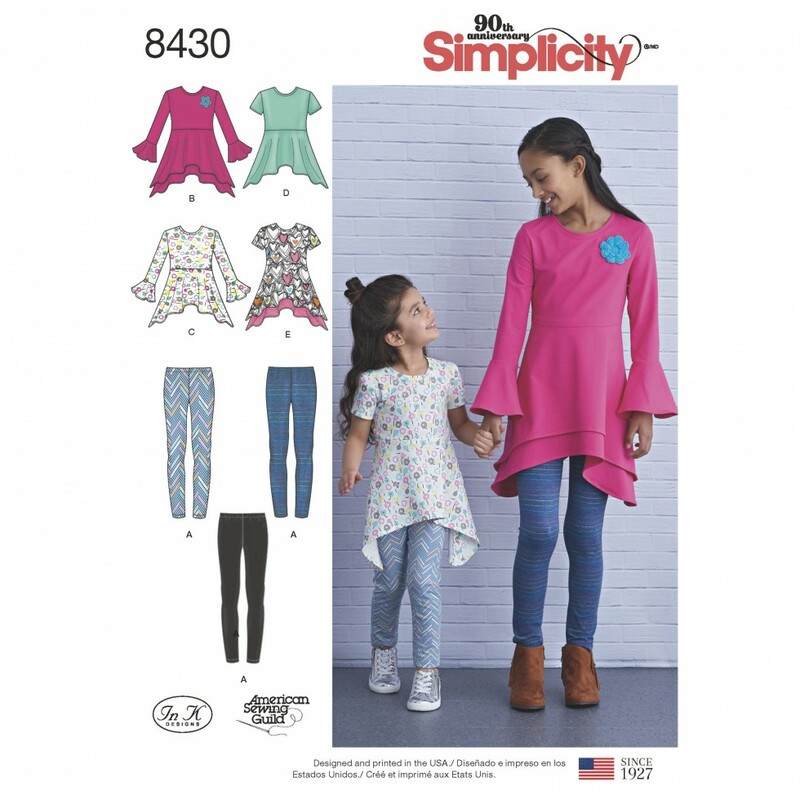 Pattern includes knit tunics in two lengths and two sleeves styles and the must have leggings to go with. Simplicity sewing pattern by In K. Sized for stretch knits only.